Parrett Windows & Doors was proud to be part of the 50 Howard Street project in New York City, NY. The windows were made to exact architectural specifications to ensure the historical integrity of this beautiful site. The General Contractor overseeing the project was KLM Construction. 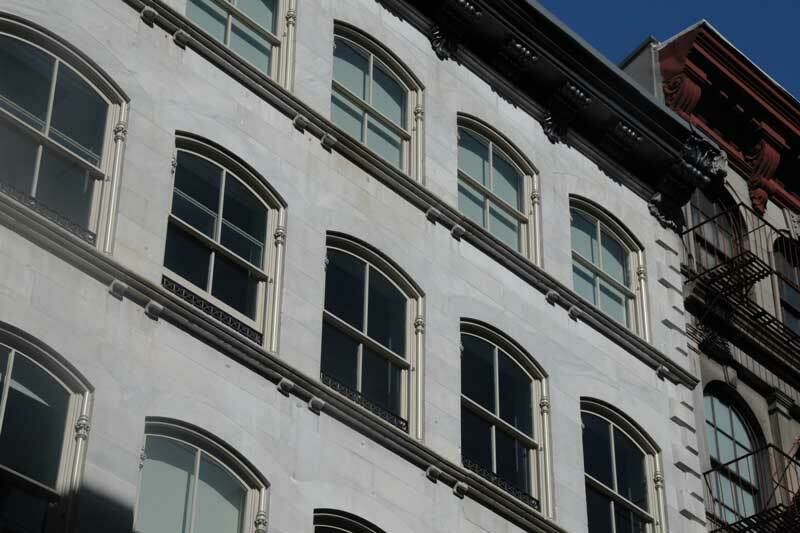 The Arch Top Single Hung Weight & Pulley units consisted of numerous custom profiles to match the existing windows. The TDL bars, sash profiles, brickmold and other details were all New York Landmark approved. A high performance Insulated SolarBan60 was also used to achieve maximum energy performance.